Cairns is most famous as the gateway to Queensland’s stunning Great Barrier Reef. Thousands of tourists pour into town every day, and most instantly jump onto charter boats and yachts to head out for adventures among the fish and coral. But if you’ve resisted the reef (or are just too sunburnt for another day of snorkelling), here are ten more reasons to stay and play in this subtropical oasis – besides the food! This is one of the region’s most iconic experiences, and a memorable way to experience the World Heritage Listed Daintree Rainforest. Board the historic train and relax as it winds through lush rainforest, past awe-inspiring waterfalls and over breath-taking gorges. 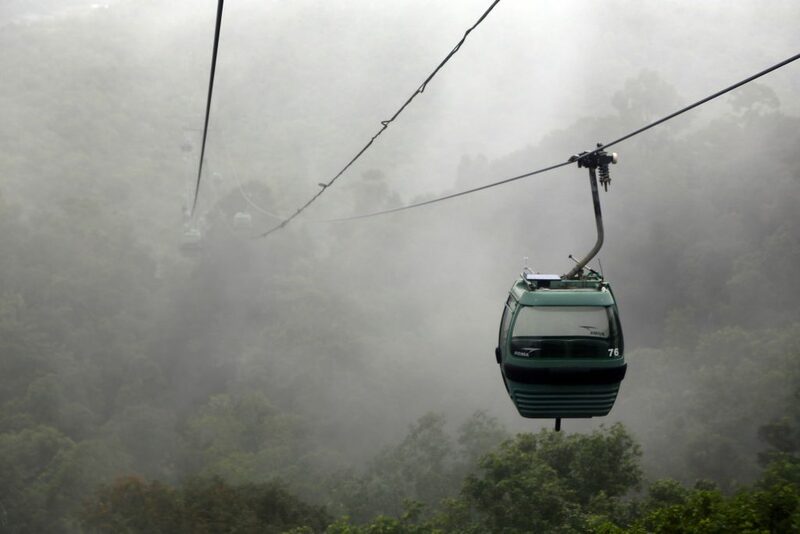 For a different perspective of the rainforest, jump aboard one of the glass-walled gondolas at Skyrail Rainforest Cableway. This unique experience will take you 7.5km into the heart of the rainforest, gliding just metres over the treetops the whole way. Take advantage of the stops at Red Peak and Barron Falls to explore the forest boardwalks and lookouts. Let an indigenous guide introduce you to another pristine piece of the Daintree Rainforest on a Dreamtime walk through Mossman Gorge. After a traditional smoking ceremony, your guide will take you on a journey to secluded ceremonial sites where you’ll hear the Dreamtime legends. There’s more indigenous culture to discover at Tjapukai Aboriginal Cultural Park. By day, you can learn to play the didgeridoo, throw a boomerang, weave baskets, and craft traditional jewellery. Once the sun sets, sit back and enjoy a cultural dance celebration around a bonfire by the lake. If you didn’t get enough of the rainforest during daylight hours, return in the evening for a romantic outdoor dining experience. Flames of the Forest is a candle-lit dining experience among the towering trees. Indulge with a sumptuous six-course meal that features tropical flavours, accompanied by premium Australian wines. It’s an experience that is well worth the hour’s drive. 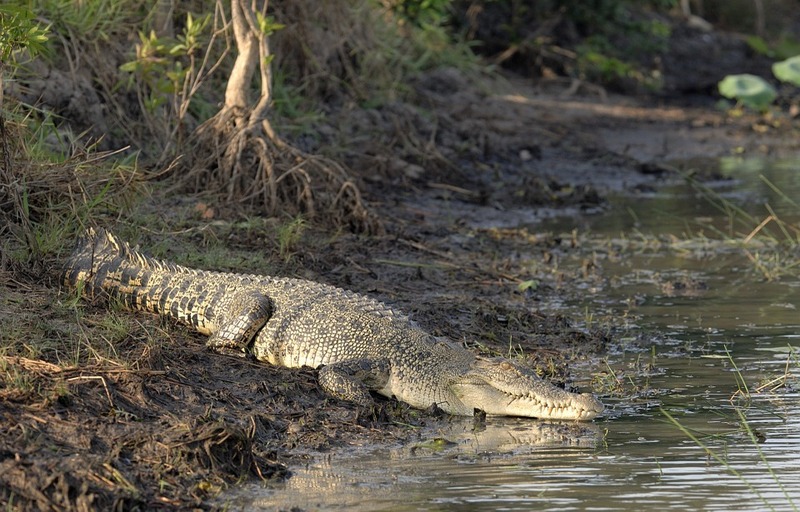 Cairns’ subtropical climate is perfect for crocodiles, and no trip to the region is complete without a close encounter. 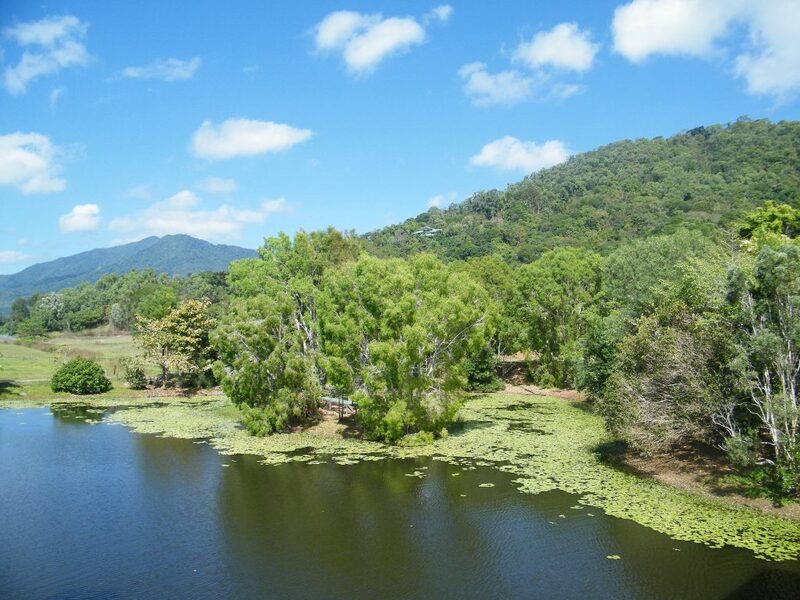 Head north to Hartley’s Crocodile Adventures, in the heart of Kuranda National Park. Cruises along the croc-infested river leave three times a day, but the afternoon trip is the one not to miss – you’ll see the power of these monstrous beasts as they leap from the water to feed. If you’re south of Cairns, drop in to Johnstone River Croc Park – a smaller crocodile farm that lets you get up close and personal with the ancient lizards. One of the top tourist attractions near Cairns is decidedly un-Australian. Set at the bottom of the stunning Mena Creek Falls, Paronella Park is Spanish-style castle built by a presumably eccentric Spanish immigrant in the 1930s. The castle has been lovingly restored, and it’s fascinating to walk through the distinctly styled garden paths that snake through the surrounding rainforest. 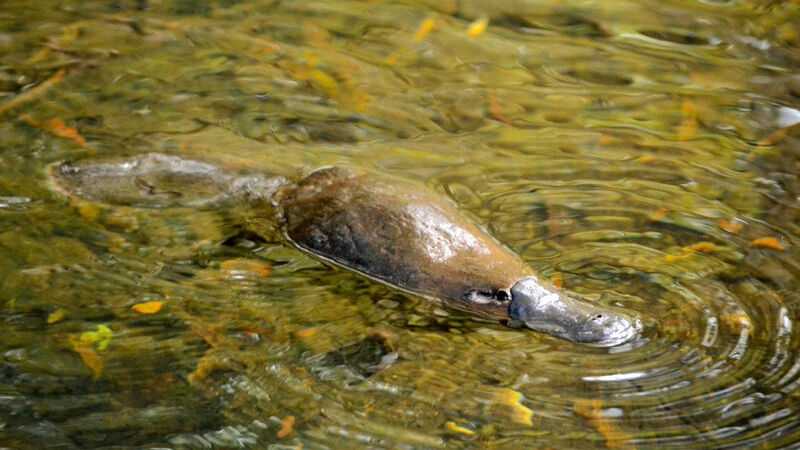 For a far less intense animal experience, meet the peculiar platypus at the Australian Platypus Park. Set on the edge of the tranquil Tarzali Lakes, a guided tour through the park will ensure you get to meet and greet these iconic duck-billed, beaver-tailed, ever-so-cute mammals. If you’ve still got an itch for some action, you’ll find Mud Park Australia an hour out of town. They’ll give you the keys to a six-wheeled all-terrain-vehicle and full permission to let the throttle out on their massive, muddy course. Odds are that you’ll get very dirty.